Wait for Kodi to install. After Kodi is installed, go to Apps from the Fire TV home screen – then select Kodi to launch Kodi for the first time. When Kodi launches, if you receive a “cannot download OBB error”, try to launch Kodi several times again. For some users, they need to launch Kodi several times before the Cannot Download OBB error goes away. After Kodi is launched, dismiss the “popup” notification by pressing the Back button on the Fire TV remote. Now Install TV Addons and set up a secure VPN to unblock Kodi and protect your streams. The “Downloader” method shown above is the easiest, fastest way to install Kodi. But if you have trouble with it, there are at least three other ways. The first and simplest alternate method is to use ES File Explorer to install Kodi. For a second alternate method, we can use an Android phone or tablet to sideload Kodi to FireStick. Lastly, you can use a computer program called ADBLink to install Kodi on FireStick using a PC wirelessly (over WiFi). How to Install TV Addons in Kodi (Video): This video tutorial demonstrates how to install the best Kodi addons, which is easiest using the Kodi AddOn Installer or the Kodi Config Wizard. How to Install Kodi in Windows (Video): If you have a Windows PC (new or old), you can definitely install Kodi on it! One of Kodi’s most stable ports (or “operating system versions”) is the Windows port of Kodi. In fact, there’s a package called FreeTelly – which is a version of Kodi made for Windows and Mac which is pre-configured with the best TV Addons already installed. Check it out. Install Kodi on Android (Video): Android is another rock-solid way to watch Kodi. In fact, Kodi for Android can be found in the actual Google Play Store. Just search for “Kodi”. Then press INSTALL, then press OPEN. Kodi runs great on Android smart phones, tablets, and Android TV Boxes like the RK3229. Fix Kodi Buffering: This video is self-explanatory. And you may think that you know all the ways to fix buffering on Kodi for Fire Stick – but you might be pleasantly surprised to learn some new buffering tricks! Is your Fire Stick overheating? Find out and fix it with this guide. 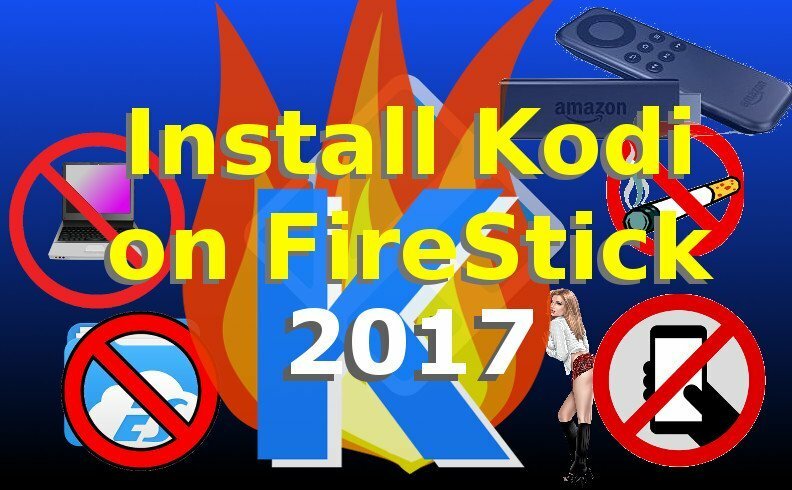 If you had issues with the Amazon Fire Stick Kodi install process, let us know on the KFire YouTube channel.